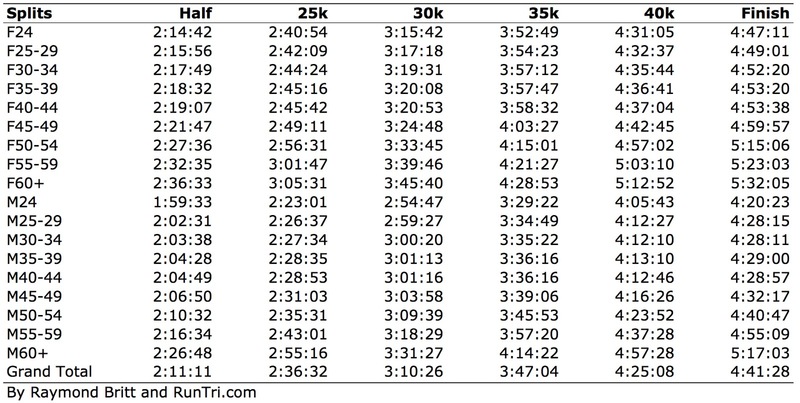 We analyzed results of all 20,000+ finishers in the 2009 Marine Corps Marathon to identify the actual splits at major checkpoints, and pace per mile of each age group, by section of the course. 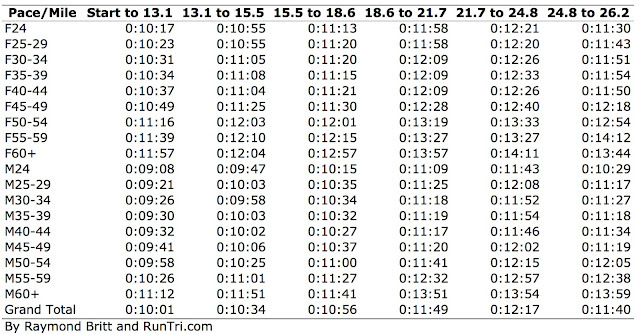 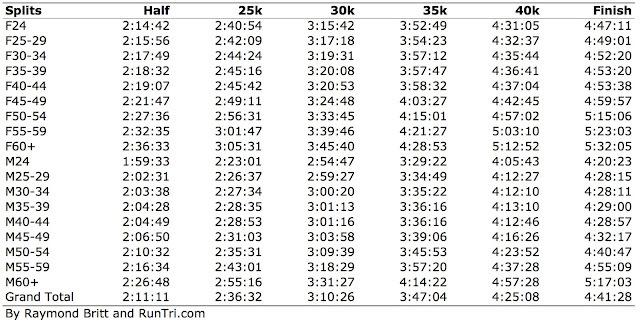 If you're looking to run at about the average pace for your age group, these are your targets. If not, use these as approximate guides to calibrate your own pace chart. 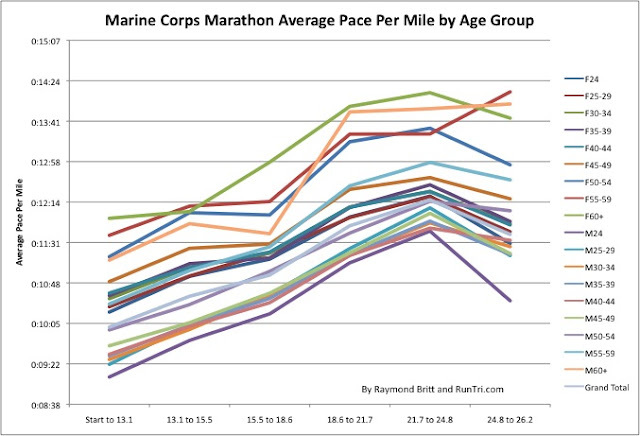 For more, see our Complete Marine Corps Marathon Coverage.